Sparking is a pomeranian/husky mix. 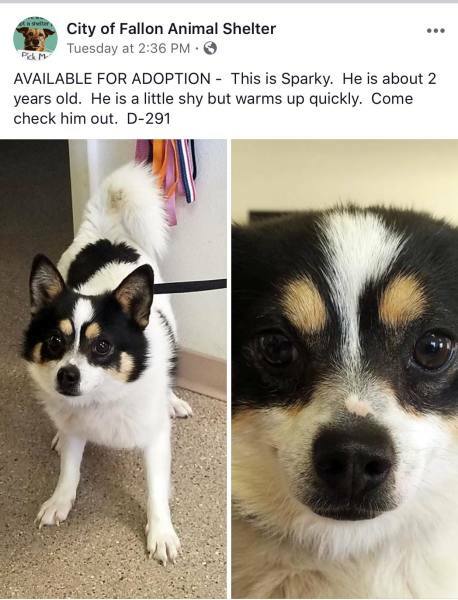 Sparky is a sweet, shy boy. He loves dogs and loves to play! He is very nervous at first but once he comes out of his shell, he is a total goofball. He just needs a family that will spend time with him, have patience and work with a trainer to help him gain confidence. ​Sparky is crate trained and is working on housebreaking.